BEAUTIFULLY UPDATED WATERFRONT CONDO IN REDINGTON SHORES. Directly across the street from the city’s beach park, this 2/2 corner condo of 1,190 sq ft in the Marker 5 makes an incredible vacation getaway or full-time residence. The great room enjoys beautiful windows and sliders overlooking the pool and Intracoastal Waterway. The kitchen is spacious and features gorgeous granite counters and a huge peninsula. The waterfront master bedroom features a completely remodeled en suite bathroom with dual sinks, walk-in closet and a wall of windows and sliders with amazing water views. The guest bedroom and remodeled guest bathroom are perfect for family and friends. An area off the kitchen can act as an office or second eating area. A large waterfront balcony extends the entire width of the condo allowing you to enjoy watching the birds, dolphins and boats that pass by. This amazing condo is being sold furnished (including TVs) and also features hurricane shutters, an in-unit laundry closet, a secured under-building parking spot and a storage locker. 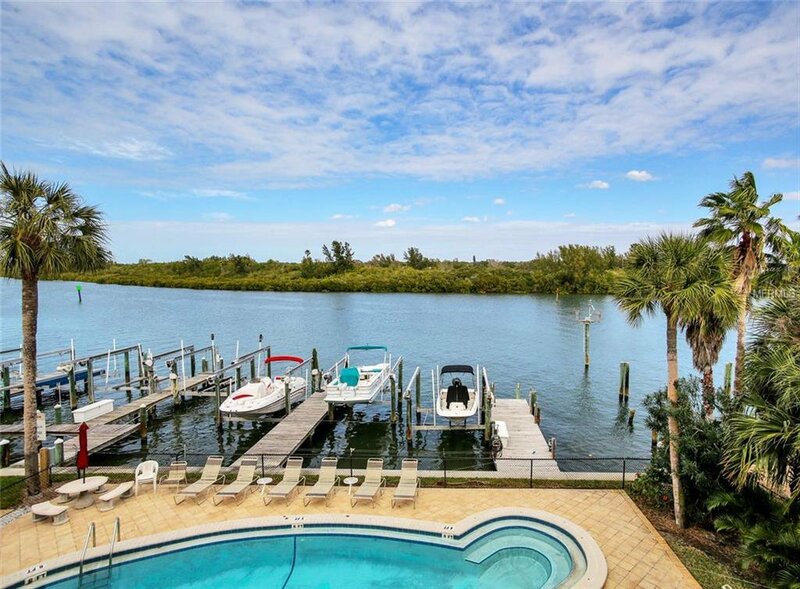 A community pool and marina round off the features of this waterfront property. Whether you are interested in fishing, bird watching, shelling, romantic walks on the beach, walking to local restaurants or simply relaxing poolside, unit 307 of the Marker 5 is perfectly located for you to fulfill all of your coastal waterfront needs. Listing courtesy of COASTAL PROPERTIES GROUP. Selling Office: ELEVATE REAL ESTATE BROKERS.